The government of China and its central bank the People’s Bank of China (PBoC) enforced a strict crypto trading ban in September 2017. Yet, the local cryptocurrency market of the country remains active, with hotels, exchanges, and over-the-counter (OTC) trading platforms supporting digital assets. Local authorities have prohibited commercial banks from dealing with overseas crypto exchanges and OTC trading platforms, demanding financial institutions to censor transactions that are suspected to be connected to crypto-related businesses. Still, with VPN, stablecoins, Hong Kong-based crypto exchanges, OTC platforms, and overseas savings accounts, it has become increasingly difficult for the Chinese government to restrict crypto. Some new photos of the "ETH Hotel", China's first hotel to accept $ETH payment. There's Bitcoin inside too! On Sept. 25, Ethereum Hotel, China’s first hotel that accepts Ethereum (ETH) as a payment method, reportedly opened their business in National Scenic Area of Four Girls Mountain (Sichuan Province). The launch of the institution came after the government’s decision to ban every activity related to the cryptocurrency market, including events. Prior to that, as CryptoSlate reported in August, local financial regulators in China also requested Alipay, the $60 billion fintech payment app, to block any transaction that is being sent to OTC crypto platforms. At the time, Financial News, a publication affiliated to People’s Bank of China (PBOC), disclosed that ICO and crypto trading activity in China did not completely dematerialize following the official ban in September 2017. “ICOs and virtual currency trading did not completely withdraw from China following the official ban … after the closure of the domestic virtual currency exchanges, many people turned to overseas platforms to continue participating in virtual currency transactions,” the report read. In fact, many sources and companies including Hong Kong and Taiwan-based digital asset exchange executive Terence Tsang stated that crypto trading in China became more popular after the ban. According to Tsang, the ban on crypto trading by the government was only targeted at exchanges within mainland China, which pretended to be overseas companies but operated inside the country. He emphasized that as for OTC platforms and exchanges in overseas markets like Hong Kong, the government of China has not effectively enforced strict policies to prevent trading. It is extremely difficult for the Chinese government to outright ban all crypto trading activity in China because most traders acquire stablecoins like Tether, Gemini Dollar, and PAX to then invest in the crypto market through cryptocurrency-only exchanges. To fully prohibit crypto trading, local financial regulators will need to censor out wire transfers from China to Hong Kong and other overseas markets, which is incredibly impractical as investors can simply create shell company savings accounts to receive funds. 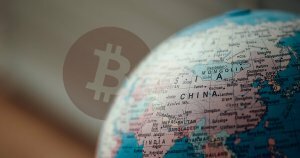 One source close to a major exchange in Asia said that the only real way for the Chinese government to stop crypto trading is to shut down VPNs. Cryptocurrency trading activity in China has increased so rapidly in the past nine months to a point in which companies have started to raise millions of dollars in seed funding to provide insurance and security services to digital asset OTC trading platforms in the country. The growth of the local market, despite the existing ban, is expected to continue even with the government’s restriction on trading.